A makeover project for a single room is fairly easy to plan out on paper. Remodeling a house, however, can be a daunting task. 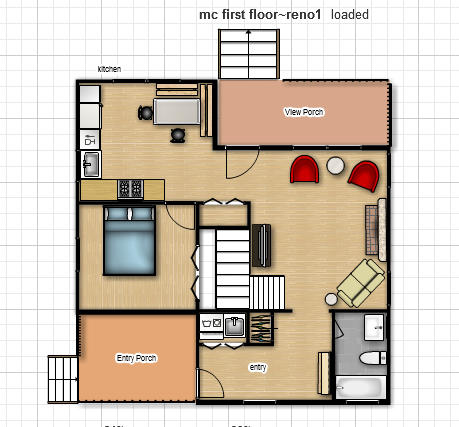 Even though we're going to start on only one or two rooms, I wanted to layout the whole house and do a tentative plan for all the rooms. The main goal is to not spend money redoing a room, if at a later date we are just going to use it as a different space. Planning out the house on graph paper, old school, would have taken too long and it's difficult to make changes. I really didn't want to spend any money on software and don't currently own any design software, so I looked online. 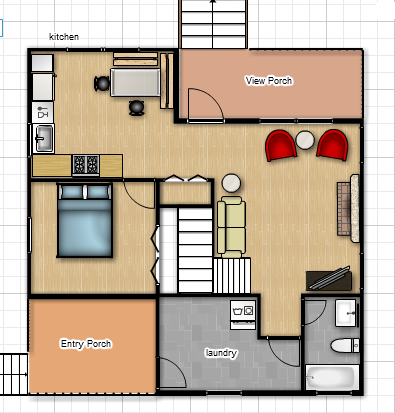 I found Floorplanner.com which was a free download and very easy to use. It is limited a bit, but you can upgrade(for a fee) if you really want to . Mr. 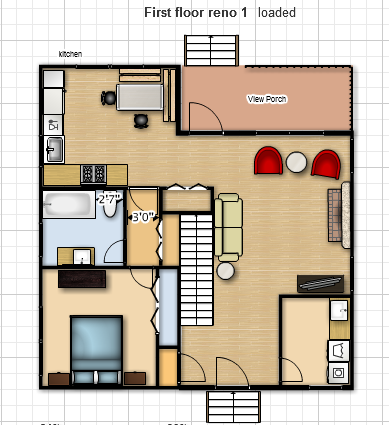 Fanatic and I measured the whole house last weekend and I spent all day Monday drawing the rooms out on floorplanner.com. Now, if money were no object, we could knock out walls, move the stairs, move the front entrance, enclose the porch, move the bedroom and move the laundry room. Mr. Fanatic and I went back and forth saying "what if we did this" to just about every room. We continued discussing ways to change the house because we wanted to look at every possible option. We bounced ideas off each other and built on each others ideas until we came up with something that sounded great. As my momma always said "two heads are better than one"
Just for fun, I designed a "Money Is No Object" option. This plan would be awesome because it makes the small living room bigger and more open. A. It had to function for us and B. It had to be good for resale should we ever sell in the future. What we did here is make it so you were entering into a more formal entry instead of the laundry room. I also added a very small closet. This plan makes more sense to me and has better flow. It seems odd that currently you enter the house through a laundry room that is really 4 times the size that it should be for the such a small house. 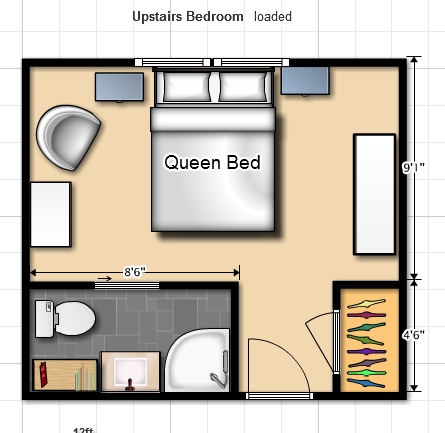 We want to add a second bathroom in the upstairs bedroom . To make sure this will all work, we will use blue masking tape and tape off where everything will go. We will also check with the county to make sure we can do this and we will get a permit. 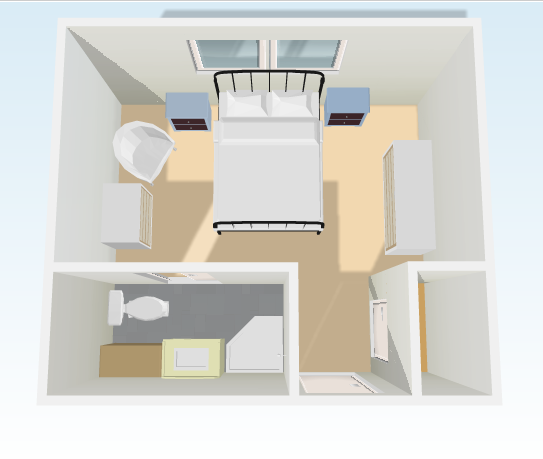 To make things more challenging, the walls are angled in this bedroom. The old closet space is used to create a space for the bathroom, along with a couple of feet taken from bedroom space. Hope that makes sense. A new, but smaller closet will be built on the right side of the entry door. Still need more closet space as that side walls are short knee walls. I'm thinking of taking up some dead space at the top of the stairs and/or building in a closet or shelving, etc. into the attic space on the far side(left side) of the room. Here's a 3D view of the upstairs. I couldn't make the right and left walls short with this design software, so you'll just have to imagine them. 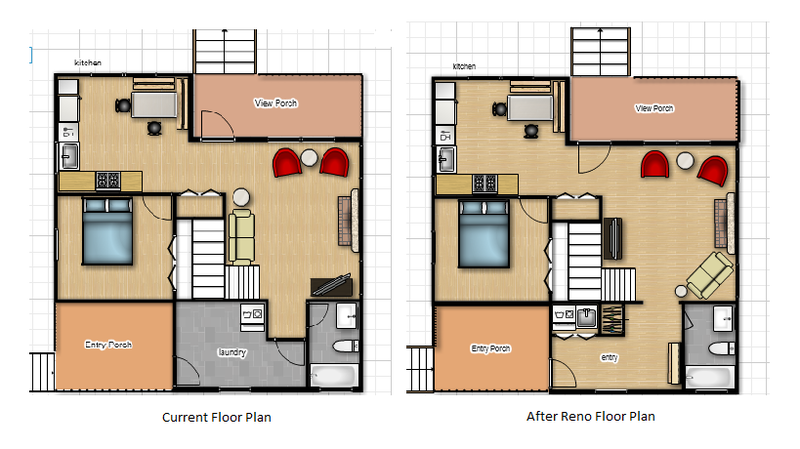 If you need to plan out a single room or a whole house, Floorplanner works great and is easy to use. Let me know if you have any other suggestions, but remember, we are on a budget! I wonder if the entry porch went farther across, in the beginning and was closed in at some point to add the laundry. Perhaps that is why it is larger. I really like your plan. It seems much more practical. And I love those inspiration pictures! Can you steal 3'from the entry porch to allow bedroom door to open to entry hall and bathroom area? It would give a little more privacy. If you could straighten stairs, you'd have better living room space. Can you move around washer and dryer? If closing bedroom door to kitchen, you might put them there. Great ideas. That is a large laundry room considering the rest of the house. Your ideas look great. I love the high wainscoting idea. I've always admired that look. You are amazing!!! I love all your ideas and can't wait to see you put them all into action! This is going to be such an adventure!